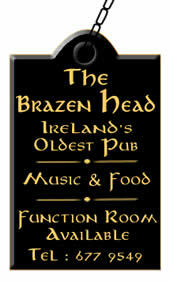 Located near Temple Bar just off the quays The Brazen Head pub Dublin claims to be Ireland’s oldest pub. It can be traced back to 1198 although it is unknown how much of the original building still exists. However it still retains a sense of history and preserves the look and feel of an old tavern. The pub retains the charm and characteristics of it’s past and in particular it’s patrons, who have included such literary figures as James Joyce, Brendan Behan and Jonathan Swift and historical figures such as Robert Emmet, Wolfe Tone, Daniel O’Connell and Michael Collins and pictures of many of these as well as more modern celebrity visitors adorn its walls. 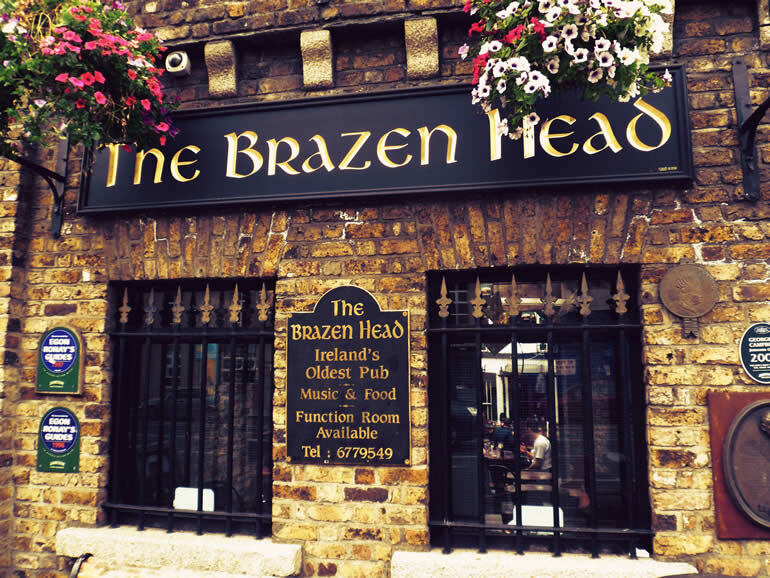 Close to Christchurch Cathedral and The Guinness Brewery, The Brazen Head is of historic value and also has a reputation as one of Dublin’s best traditional Irish music venues. Some of the famous musicians who have performed there over the years include the Dubliners, Van Morrison and The Hothouse Flowers. Some of Dublin’s best traditional bands play there every night and there is a very popular session from 3.30 – 6.30pm every Sunday afternoon. As well as being famous for serving great pints, The Brazen Head has gained a reputation for great food, serving traditional and modern dishes. Regularly on the menu is beef and Guinness stew and Irish stew. There is a great variety of seafood dishes including fresh cod in beer batter. This is a good drink, food and music pub which is very popular and very lively.